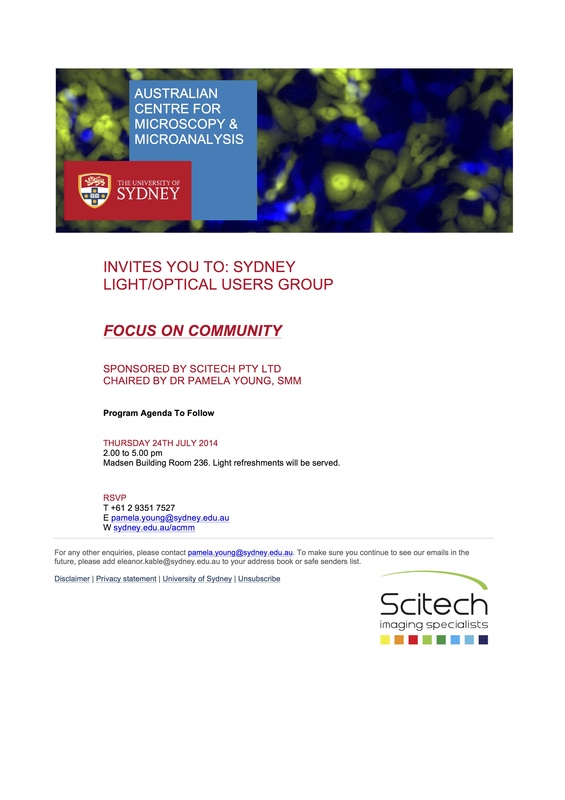 Great news, Cell Division Lab will be at the Sydney Light Optical Users Meeting, hosted by Dr Pamela Young at Sydney University, this Thursday (24th of July). I will be presenting a short seminar on “Imaging and Analysing Cell Division”. If you would like to attend please contact Pamela asap. Her details are below! This entry was posted in Info, News and tagged anaphase, Cancer, Cell cycle, cell division, Chromobody, Chromotek, Garvan, GFP, Imaris, Kinghorn Cancer Center, Leica, live cell imaging, mCherry, metaphase, microanalysis, microscope, microscopy, Mitosis, SP8, Zeiss.